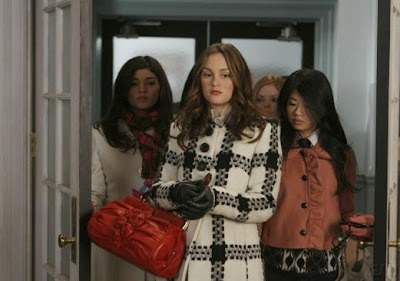 It doesn’t get much better than Gossip Girl style and the episode last week featured queen bee Blair in a fabulous black and white coat. The only thing better? Pairing it with a bright red bag. By the way, imitation is the sincerest form of flattery.